IPRIA has been generously supported by our Research Partners. Staff associated with IPIRA are involved in a number of major research projects. IPRIA staff, and faculty members associated with the centre and institute, teach in the degree programs of Melbourne Law School and supervise research students. 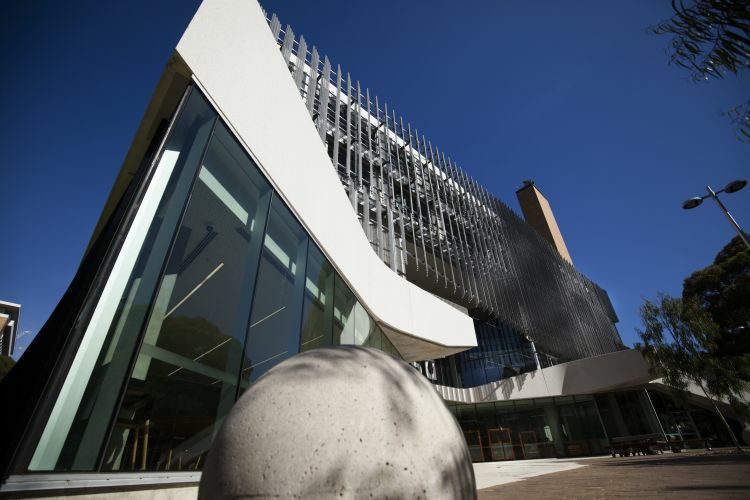 Melbourne Law School is Australia's first law school and with experience gained over 150 years continues to be a leader and innovator in teaching the next generation of skilled legal professionals. Taught at a graduate level, the Melbourne JD equips graduates with the analytical skills and intellectual maturity to take a leading role in contemporary legal practice, the business world, government or community organisations. Graduating with a law degree from world-renowned Melbourne Law School means that wherever your career takes you, your degree will be recognised as exceptional - both nationally and internationally. Join other engaged and enthusiastic students in discussion-based classes and enrich each other's education. Build skills for employment in the 21st century by collaborating and interacting with other students in group work. Be a part of a tight-knit community of graduates and learn alongside your supportive classmates. Have the opportunity to join societies, edit journals, attend public lectures, and participate in cultural events, moots and art competitions. Build a network for life through connections to your student peers, Law School alumni, mentors and university staff. The Melbourne JD is taught over six semesters under the standard three-year structure, with options for flexible study (subject to appovla by the Law School). The curriculum is designed specifically for graduate students, with opportunities to study new and emerging areas of law in a range of specialised topics available as an elective from the Melbourne Law School Masters program. The JD comprises 24 subjects, of which 17 are compulsory. You'll find here comprehensive information on all subjects, how to select subjects for the current year and re-enrol, plus current timetables. The Melbourne Law Masters is a postgraduate law program of the highest quality that is available for both law and selected non-law graduates. A suite of general and specialist masters degrees and graduate diplomas offer the opportunity to study at one of the finest law schools in the world. Distinctive features of the Melbourne Law Masters include the expertise of the teaching staff, small class sizes, a diverse student body, a rich blend of national and international perspectives, support services tailored to the needs of graduate students, excellent facilities and an extraordinary range of subjects at the cutting edge of developments in law and legal thinking. Melbourne Law School's specialisation in intellectual property (IP) is one of the largest and most respected specialist IP law programs in the world. Its extensive range of challenging, cutting-edge subjects covers the spectrum of IP protection regimes, and are both practically focused and theoretically rigorous. The majority of the specialisation's subjects are accredited by the Professional Standards Board for Patent and Trade Marks Attorneys (PSB). This program is ideal for those seeking accreditation as a patent and/or trade marks attorney, as well as for those seeking to develop or expand their expertise in intellectual property law generally. The IPRIA welcomes students interested in undertaking a research in a range of legal areas, including media, communications, intellectual property, journalism, contempt, privacy, art and law, and law and economics. The IPRIA may be available to supervise sociological, doctrinal, law and economics, theoretical and empirical research papers. If you are interested in undertaking a Graduate Research Degree with the IPRIA, please contact us to discuss your proposal. A brief history of previous events.